We have ways to make you feel great. Dive into our 25x16-metre outdoor swimming pool for some lap time or just a refreshing paddle. 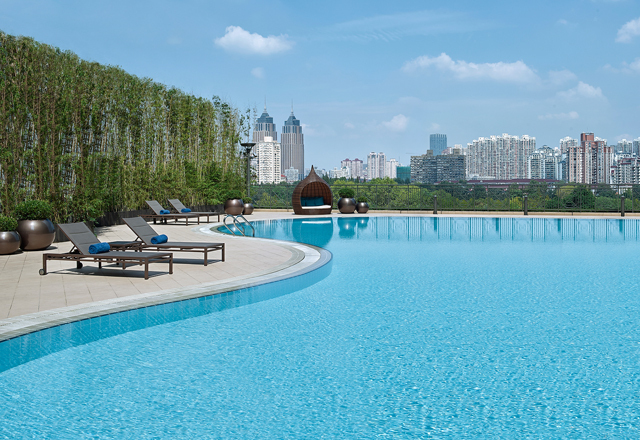 Or sunbathe on the deckor relax with a cool beverage while enjoying a bird’s-eye view of Shanghai. Work up a sweat, loosen up your joints, stretch your muscles or do all three. 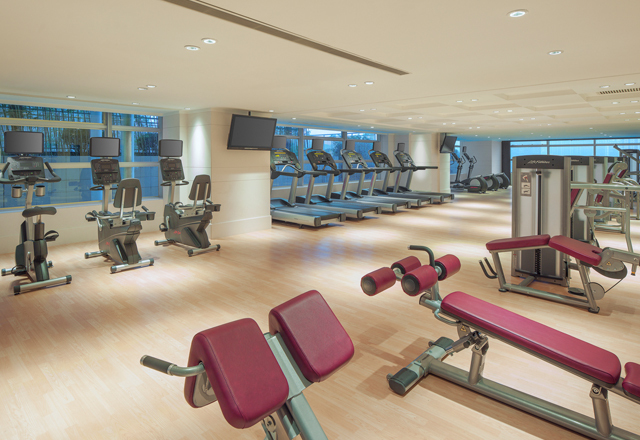 You’ll feel better after some time in our well-equipped Health Club with cardiovascular and weight equipment, a personal trainer by appointment, sauna and steam rooms, a whirlpool and massage services. Complimentary workout apparel is available on request.